A man who was once accused but never charged with being a hit man for former Your Black Muslim Bakery leader Yusuf Bey IV has been freed from jail after being acquitted of gun charges in an unrelated case. Gary Larue Popoff, 44, also known Rasaul Bey, was found not guilty Wednesday of weapons possession and shooting into a building stemming from a 2009 incident after a short trial before Alameda County Superior Court Judge Jon Rolefson. Those charges were unrelated to the alleged plot to kill witnesses in Bey IV’s triple murder trial; Popoff was ultimately convicted of a parole violation in connection with that incident for possessing documents that prosecutors said identified potential victims. No one was harmed. Jail records show Popoff, who has a long criminal history and several felony convictions, was released from custody earlier this week. Had he been convicted on the gun charges, he faced a sentence of more than 20 years under the state’s Three Strikes law for repeat offenders. The gun charges stemmed from a Nov. 19, 2009, shooting at a building on San Pablo Avenue across the street from the former bakery, where Popoff had been a Bey loyalist. Popoff was charged with the shooting based on DNA evidence that showed he had handled the guns. But Popoff testified that his DNA had gotten on the weapons days earlier and jurors believed him, his attorney, Michael Berger, said Friday. The prosecutor in the case, Patrick Moriarty, was unavailable for comment, Drenick said. 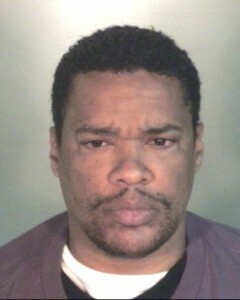 Popoff was arrested in March 2010 as police unraveled an alleged plot to kill witnesses in Bey IV’s then upcoming trial for ordering the 2007 murder of Oakland journalist Chauncey Bailey. Bey IV allegedly had the list smuggled to Popoff, who was to kill witnesses. Bey IV and Popoff were never charged in connection with that incident, but Popoff was sent to prison for nine months after a hearing officer determined he had violated his parole. The District Attorney’s office filed the shooting accusations against Popoff in November 2010, and Popoff remained jailed as the case moved slowly. Berger said he hoped that the gun case “sobered (Popoff) up a bit” and that he would now refrain from crime.